Chatpig is a site very similar to Chatroulette. 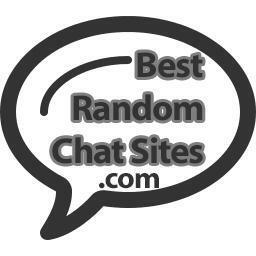 It has the same basic features as any random roulette live video chat site nowadays, but it does look like it used to have it’s own unique “snaps” function that allowed users to take snapshots in the middle of a chat session. However, this feature is no longer available. At any rate, I’m supposed the next thing you would likely be curious about is what kind of user base it has / how popular it is. First, I will note that based on it’s Alexa ranking and it’s users online tracker, it looks like it tends to have enough people available to ensure a good chatting experience most of the day. Second, I must bring up a major point about the location of the typical user – it’s Germany. Yep, this particular random cam chat site is German-focused, and they succeeded with this focus. So, if you’re looking to find out more on sauerkraut recipes, this could be the place for you! Personally, I love sauerkraut, so I think this site is da bomb yo. Yes, I’m totally gangsta. In any case, we can’t forget to mention the pig logo and the site style laced with pink. Obviously when you throw those two aspects into the mix you just have to check this website out. Oh, almost forgot, the software itself works well and fast, so you don’t have to worry about some old clunker of a server and app taking ages to load etc. You can visit this site at www.chatpig.com. Update: Site no longer exists. This entry was posted in Chatpig by admin. Bookmark the permalink.